For thirty years, the total mass of insects has decreased by 2.5% each year. Scientists warn against a "catastrophic collapse of natural ecosystems". Insects around the world are on the verge of extinction, threatening a "catastrophic collapse of natural ecosystems" , was alarmed in late January, the world's first scientific journal Biological Conservation . More than 40% of the insect species are in decline and one third are threatened, according to the researchers. Their mortality rate is eight times faster than that of mammals, birds and reptiles. Over the last thirty years, the total mass of insects worldwide has decreased by 2.5% each year. At this rate, worries scientists, they could disappear within a century. " It's very fast. In ten years, there will be a quarter less insects, in fifty years, more than half, and in a hundred years, there will be more, " told the Guardian Sunday, February 10 Francisco Sánchez-Bayo, from the University of Sydney (Australia), who collected the data with Kris Wyckhuys from the Academy of Agricultural Sciences in Beijing, China. Most of the studies analyzed were conducted in Western Europe and the United States. Insects are "essential" to the good functioning of all ecosystems, explain the researchers. They pollinate plants, recycle nutrients and serve as staple foods for other animals. Their disappearance "will have catastrophic consequences for both the ecosystems of the planet and for the survival of humanity," warns Francisco Sanchez-Bayo. One of the major impacts is the many birds, reptiles, amphibians and fish that feed on insects. "If this source of food is taken away from them, all these animals will starve," he said. 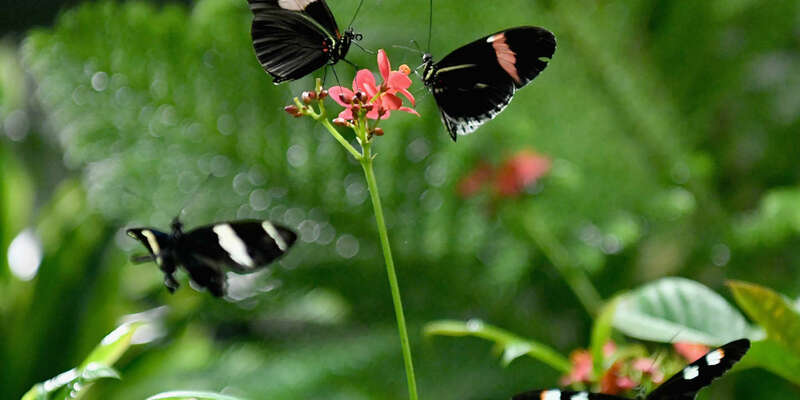 Breakdowns of insect populations have recently been reported in Germany and Puerto Rico, where a recent study has revealed a 98% drop in terrestrial insects for thirty-five years, but the study clearly shows that the crisis is global. Butterflies and moths are among the most affected. The number of butterfly species has dropped by 58% on cropland in England between 2000 and 2009. The United Kingdom has suffered the highest insect drop ever recorded, although this is likely the result of a study. more intensive than in most other countries. Bees were also severely affected, with only half of the bumble bee species recorded in Oklahoma in the United States in 1949 being present in 2013. The number of bee colonies in the United States was six million in 1947, 3.5 millions have since disappeared. There are more than 350,000 beetle species and many are thought to have declined, particularly the manure beetle. If we have much less information on flies, ants, aphids, shield insects and locusts, the experts say there is no reason to think that they are doing better than the species studied. Article reserved for our subscribers Read also "It's time to stop the massacre of bees"
"If we do not change our methods of food production, the insects as a whole will be on the road to extinction in a few decades," say the researchers, for whom intensive farming is the main cause of population decline. insects, especially the high use of pesticides. Urbanization and climate change are also important factors. According to Sanchez-Bayo, the disappearance of insects seems to have started at the dawn of the twentieth century, then accelerated in the 1950s and 1960s and reached "alarming proportions" over the last two decades. New classes of insecticides introduced over the last 20 years, including neonicotinoids and fipronil, have been particularly damaging because they are used regularly and persist in the environment: "They sterilize the soil, killing all the white grubs. This has effects even in nearby nature reserves: the 75% of insect losses in Germany have been recorded in protected areas.